Here is your chance to own a great income producing property! 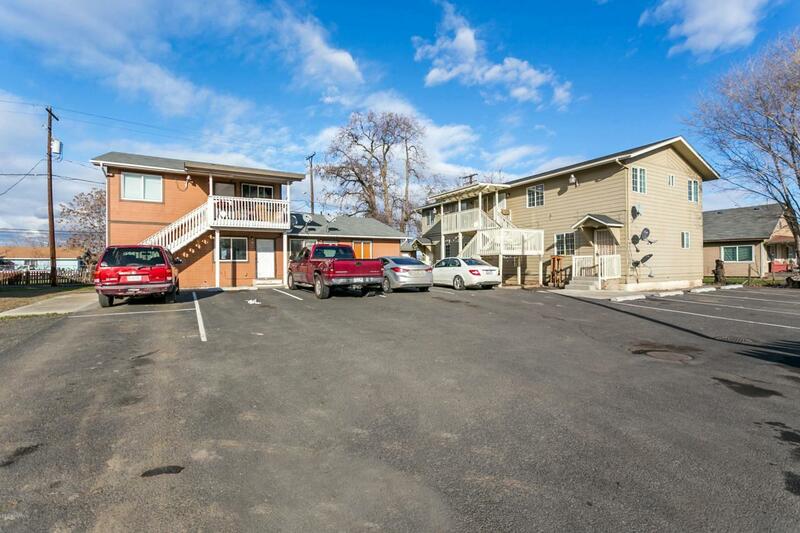 Built in 2004 this 7 plex has five 2 bedroom units, and two 3 bedroom units. TENANTS PAY their own Water/sewer/garbage and electricity!!!! Call your Realtor today to take a look at this 7 plex before its toolate! Every unit has washer and dryer hookups. Storage units are available for each unit for a fee as well. Listing provided courtesy of Geoff Bowlsby of Century 21 Tri-Cities. © 2019 Yakima Multiple Listing Service, Inc. All rights reserved. The data relating to real estate for sale on this web site comes in part from the Yakima MLS© IDX Program. IDX information is provided exclusively for consumers' personal, non-commercial use and may not be used for any purpose other than to identify prospective properties consumers may be interested in purchasing. Information is deemed reliable but is not guaranteed accurate by the MLS or Heritage Moultray Real Estate Services, LLC.. Data last updated: 2019-04-19T23:48:37.9.